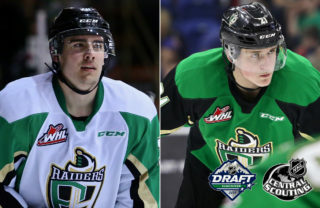 Prince Albert, SK – The Prince Albert Raiders (39-5-0-2) finish off their road trip this week with three games in British Columbia. Last week, the Raiders opened the trip by collecting five of a possible six points. The trip began with a 6-2 win over the Cougars in Prince George on Wednesday night. 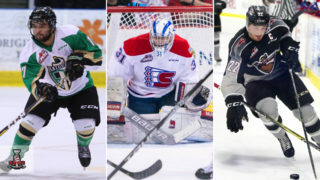 Then, the Raiders downed the Blazers 4-1 in Kamloops on Friday. The week concluded with a 4-3 shootout loss to the Rockets in Kelowna on Saturday night. 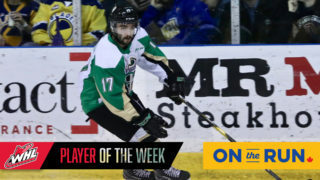 This week, the Raiders take the ferry to face off against the Victoria Royals (23-19-1-0) on Tuesday night at the Save-On-Foods Memorial Arena. Puck drop is 9:05 p.m. CST. 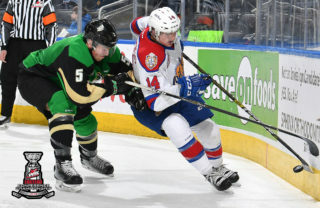 Then, the BC Division portion of the trip comes to an end with a date with the Vancouver Giants (29-12-2-0) on Thursday night. Game time is 9:30 p.m. CST. 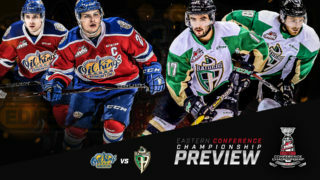 This game will be broadcasted on Sportsnet. The road trip wraps on Saturday night in Cranbrook when the Raiders take on the Kootenay ICE (10-30-7-1) at Western Financial Place. The game is scheduled for 8 p.m. CST. 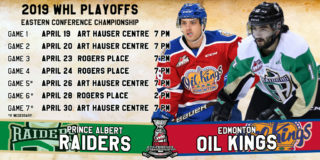 With the 2019 Canadian Junior Curling Championships taking place at the Art Hauser Centre, the Raiders are back for home games on Friday, February 1 and Saturday, February 2 against the Edmonton Oil Kings and the Moose Jaw Warriors, respectively. Tickets for both games are available at raiderhockey.com and the Raider Office.